FRANKFORT, Ky. (AP) — Called back into session after a stinging loss at the Supreme Court, Kentucky’s Republican-dominated legislature decided to go home on Tuesday without passing a replacement pension law despite warnings of financial ruin by the state’s GOP governor. Kentucky has one of the worst-funded pension systems in the country, as state officials are at least $38 billion short of the money needed to pay retirement benefits over the next three decades. A pension law signed by Gov. Matt Bevin earlier this year was struck down by the state Supreme Court on procedural grounds last week. Monday, Bevin called lawmakers back into session to pass it again. But when lawmakers arrived, they were frustrated to find the two bills Bevin proposed were different than the law they had passed eight months earlier. Bevin denied that he or his office had written the proposals, telling reporters: “I’ve not even read that whole bill.” Bevin’s attorney had sent lawmakers a letter earlier in the day, telling them they supported removing language from the bill that might prompt a lawsuit. Bevin and Osborne said passing a new pension bill will be a priority for the upcoming legislative session scheduled to begin Jan. 8. Republicans will still have super-majorities in both the House and Senate when lawmakers return. But the 2019 legislature will have 32 new members in the House of Representatives, including 16 new Republicans. Many of those incoming members said they were frustrated at lawmakers calling a special session on pensions three weeks before they were scheduled to take office. They included Travis Brenda, a high school math teacher who opposes the pension legislation and defeated House Majority Floor Leader Jonathan Shell in a GOP primary. Brenda noted each day lawmakers were in session cost taxpayers nearly $66,000. Bevin said he couldn’t afford to wait that long. He said two of the country’s three major ratings agencies had already contacted his administration, leading him to believe the state was in danger of a credit rating downgrade that could cost taxpayers tens of millions of dollars. Bevin’s lawyer, Steve Pitt, told lawmakers in a letter on Tuesday that’s why they had changed the pension law by removing provisions they thought would prompt a lawsuit that could put the state in court for another year. 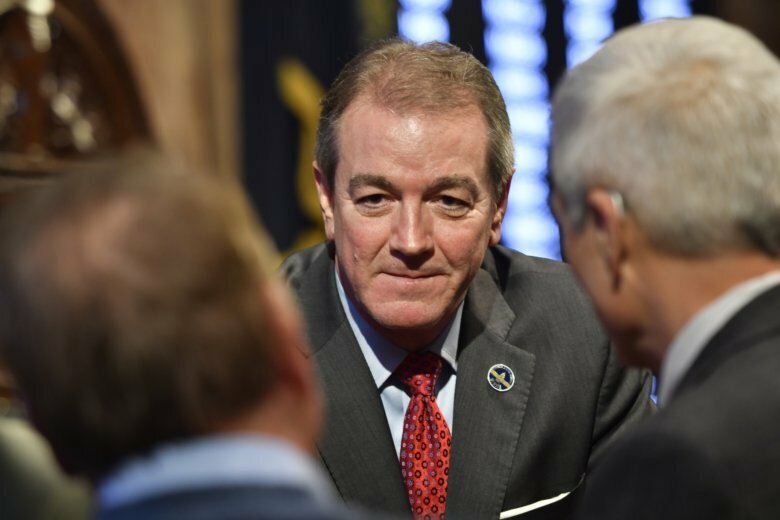 But some Republican lawmakers bristled at backing down, especially after they had spent the election season campaigning on the pension bill they had passed, known as Senate bill 151. This story has been corrected to say the letter to state lawmakers was from Steve Pitt, Gov. Bevin’s attorney, not from state Budget Director John Chilton.